Since Thursday December 25, 1996, Leonardo DiCaprio fans have hit the Drama of DiCaprio. Like this page even more? Press Ctrl. + D to bookmark us!! "The longer I can maintain a clear head and remain sane, the better, because this is something I want to be doing for a long time. I'm just trying to remain a kid off-screen, you know? In Hollywood, you're put into an adult world and expected to become a grown-up all of a sudden. But I don't even know who I am yet. I'm still learning about myself." The Drama of DiCaprio is no more. Well, technically. The site will stay up for your viewing pleasure, but i will no longer update it, read the guestbook, give out the Kissably Sweet award, or add pictures. It was too hard for me to take it down (I've had it up for 2 years now so it's like my baby.) And as always, please don't send me letters to Leonardo because I don't know him, and they will be deleted immediately. Thanks, and visit again soon. We now offer a Java Chat-Room! I suggest that you rally up some Leo fans to all go here at the same time, so you won't find yourself a loner! THIS PAGE IS NO LONGER GIVING OUT AN AWARD. CLICK HERE to see the old award. 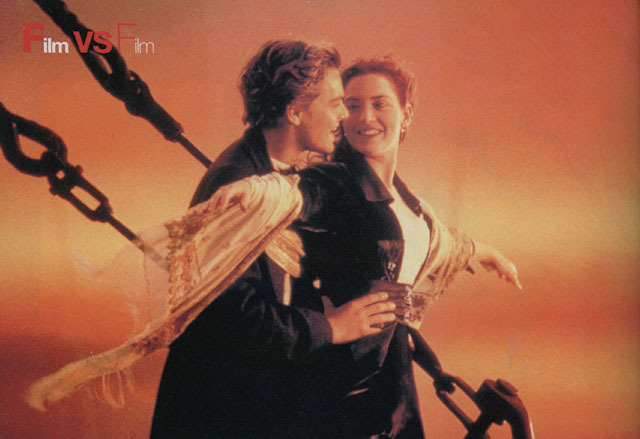 CLICK HERE for an EXCLUSIVE picture from TITANIC! This page is not an official www site for Leonardo DiCaprio, and is in no way linked to him. I am not Leonardo DiCaprio and I do not know him. I am just an EXTREMELY devoted fan! Please do not e-mail me letters to Leonardo, because I will just delete them. Thank you.